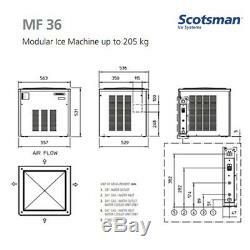 Brand new Scotsman M36 Ice Flaker. This is the Ice Flaker only you will require a storage bin for the ice to fall into. Scotsman is one of the best well known brands in Ice Machines known for there reliability & performance. Dimensions (mm): 564(w) x 536(d) x 531(h). Production/ 24 hrs: 205 kg. Suggested Bins: SB193 Alternative Bin / Capacity: SB393+ CBT 150 kg. 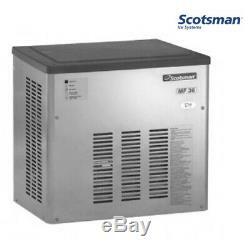 Water Consumption/24h (A):185 L. Water Consumption/24h (W):2280 L. The item "Scotsman M36 Ice Flaker Commercial Ice Machine 200kg / 24hr" is in sale since Monday, February 18, 2019. This item is in the category "Business, Office & Industrial\Restaurant & Food Service\Bar/ Drinks Equipment\Ice Makers". The seller is "collin_band" and is located in Bournemouth, Dorset. This item can be shipped to United Kingdom.